These socks are designed for non slip grip while doing yoga, Pilates, bar method, or any other indoor sport requiring a gripping sock. The item has individual toe sections, and no heel for extra grip. There are grips on the bottom as well to insure no slip. There is a form band on the bridge, and an ankle band for comfort. Breathable material. 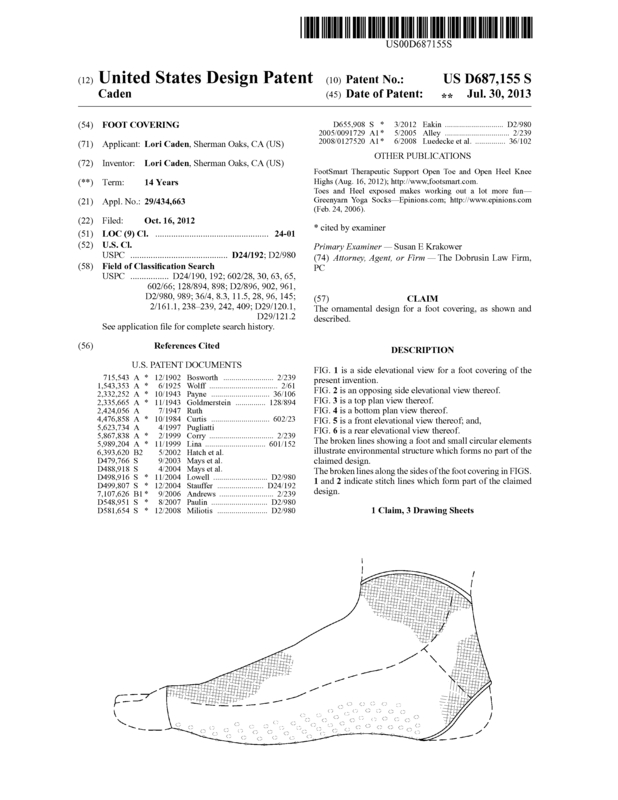 Page created at 2019-04-25 0:11:10, Patent Auction Time.